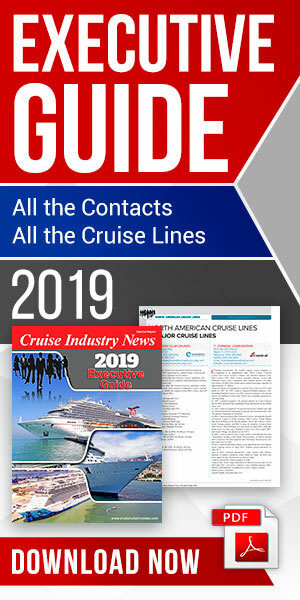 MSC Cruises announced that sales for MSC Grandiosa’s maiden voyage are now open exclusively for MSC Voyagers Club members through October 21, according to a press release. During this period, members will not only have the first selection of staterooms, but also receive a special 5 percent discount on top of their 5 percent loyalty discount, MSC said. Sales will open for all other guests on October 22, 2018. Launching in November 2019, MSC Grandiosa will become the company’s newest flagship, as the largest in the MSC fleet. The megaship is currently under construction at the Chantiers de l'Atlantique in Saint-Nazaire, France. Departing on November 10, 2019, MSC Grandiosa will sail an itinerary through Northern Europe as well as the Mediterranean. Guests can choose a 10- or 13-night sailing, embarking in Hamburg and disembarking in Genoa, Italy or Marseille, France. The MSC Grandiosa will also call Southampton, UK, Lisbon, Portugal and Barcelona, Spain, with overnight stays in all three ports. The MSC Grandiosa will be the second ship to feature the Zoe – the first cruise digital assistant, MSC said. The MSC Grandiosa will be christened in Hamburg on November 9, 2019 and will make the maiden voyage to her new homeport of Genoa, where she will begin 7-night sailings in the Mediterranean from Genoa starting on November 23, 2019. Ports on the itinerary include Genoa, Civitavecchia, Palermo, Valletta, Barcelona and Marseille.